In this superb translation with an introduction and commentary by Allen Mandelbaum, all of Dante's vivid images--the earthly, sublime, intellectual, demonic, ecstatic--are rendered with marvelous clarity to read like the words of a poet born in our own age. vernacular language and mix of poetry with prose were new; and it serves as an introduction to Dante's masterpiece, The Divine Comedy, in which Beatrice figures prominently. The Divine Comedy is Dante's vision of the afterlife, broken into a trilogy of the Inferno, Purgatory, and Paradise. Dante is given a guided tour of hell and purgatory by Virgil, the pagan Roman poet whom Dante greatly admired and imitated, and of heaven by Beatrice. 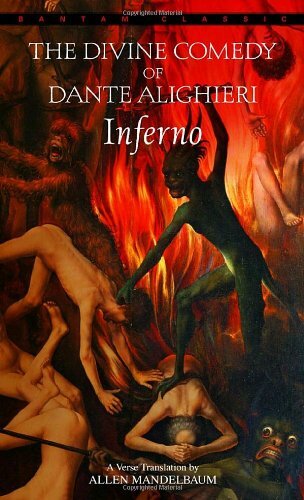 The Inferno shows the souls who have been condemned to eternal torment, and included here are not only mythical and historical evil-doers, but Dante's enemies. The Purgatory reveals how souls who are not irreversibly sinful learn to be good through a spiritual purification. And The Paradise depicts further development of the just as they approach God. The Divine Comedy has been influential from Dante's day into modern times. The poem has endured not just because of its beauty and significance, but also because of its richness and piety as well as its occasionally humorous and vulgar treatment of the afterlife. In addition to his writing, Dante was active in politics. In 1302, after two years as a priore, or governor of Florence, he was exiled because of his support for the white guelfi, a moderate political party of which he was a member. After extensive travels, he stayed in Ravenna in 1319, completing The Divine Comedy there, until his death in 1321. BARRY MOSER is the prize-winning illustrator of many beautiful books for children and adults, including Harcourt's Telling Time with Big Mama Cat and Sit, Truman!, both co-illustrated by his daughter Cara Moser and written by Dan Harper. He has won the American Book Award and earned accolades from the American Library Association and the American Institute of Graphic Arts. Mr. Moser lives in western Massachusetts.